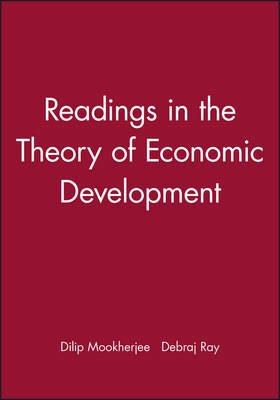 This collection provides a complete introduction to new ways of thinking about economic development. Emphasizing economic theory, each article has been selected for its theoretical completeness, accessibility, and clarity as well as its value as a contribution to the field. A thorough introductory essay summarizes the state of the field for those new to this area and explains the importance of the articles selected.The articles will interest academic researchers, policy practitioners and students alike.This book: Examines new ways of thinking about the economics of development. Initiates the nonspecialist into state-of-the-art research in the field. Includes a thorough introduction that identifies the main themes and contextualizes the readings. Provides the basis for a semester-long course in development economics.